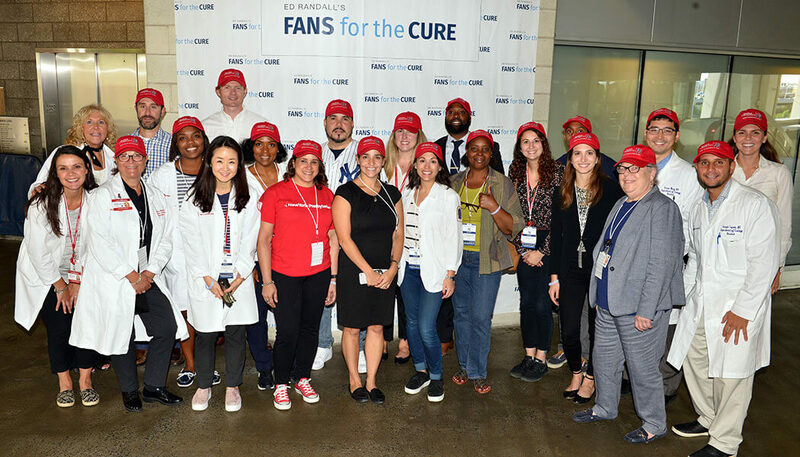 With September as Prostate Cancer Awareness Month, we hosted a free PSA screening at Yankee Stadium with our great partners, the New York Yankees and NewYork-Presbyterian, and its partners Columbia University Irving Medical Center and Weill Cornell Medicine. 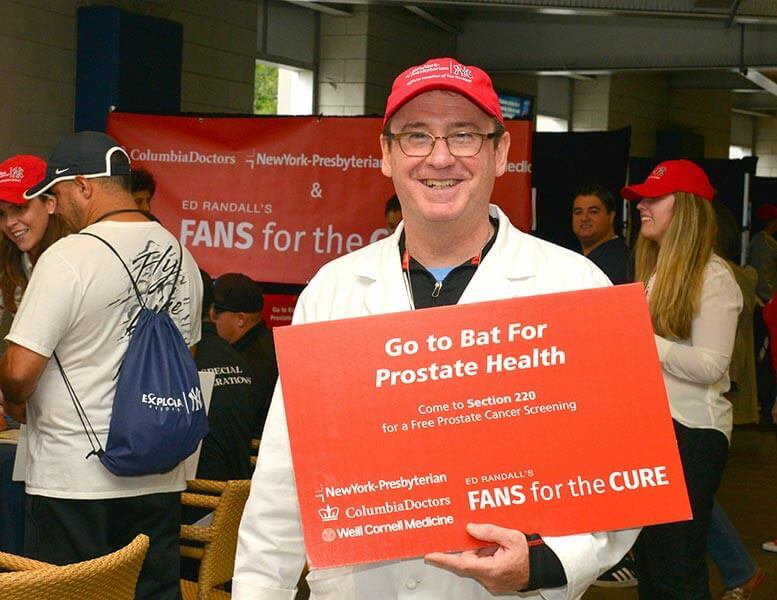 For the eighth consecutive year, we greeted baseball fans on the concourse of Yankee Stadium, sharing prostate cancer educational information and inviting men over the age of 40 to get a free prostate cancer test. As Dr. James McKieran previously discussed on our website, medical testing for prostate cancer has evolved in recent decades. 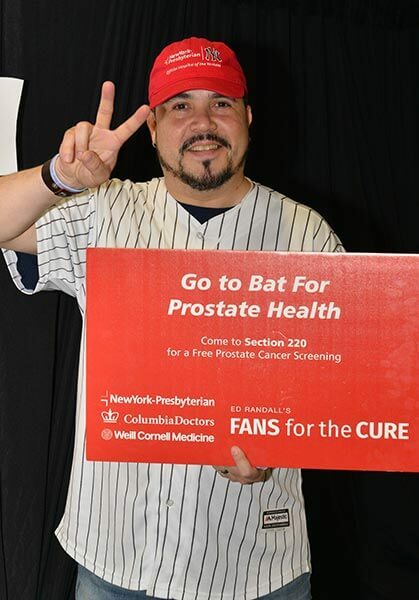 Today, the PSA screening is a simple blood test which takes only a few moments to administer. 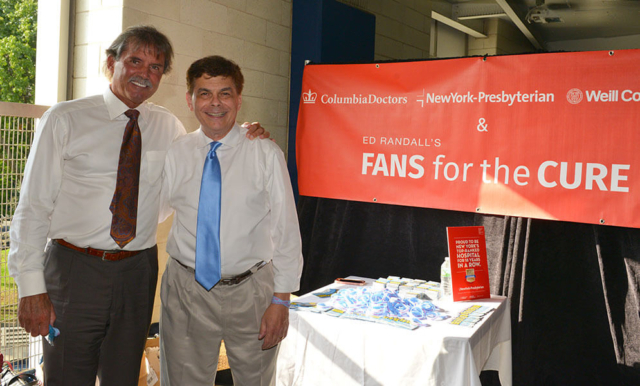 The screenings were conducted by NewYork-Presbyterian urologists under the direction of Dr. McKiernan, Urologist-in-Chief, NewYork-Presbyterian/Columbia University Irving Medical Center, who also sits on our charity’s Medical Advisory Board. 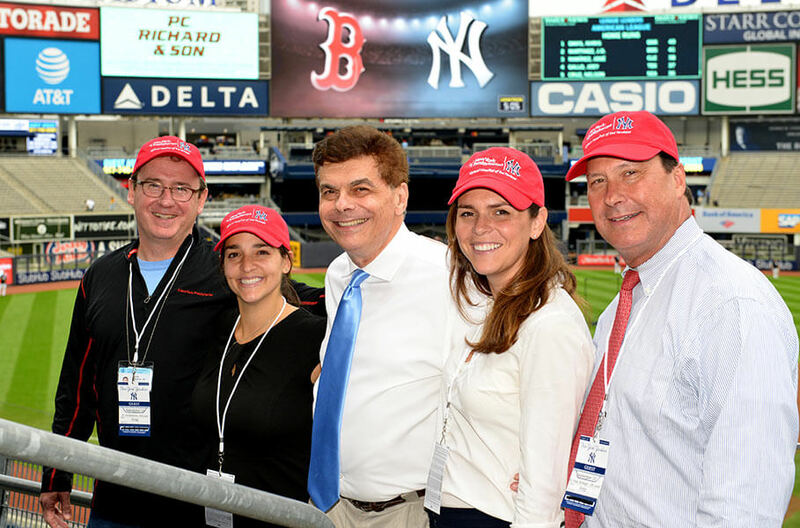 We’re delighted to report that 186 men were tested through this program. At Fans for the Cure, we are committed to supporting communities all over the US in their efforts to raise awareness about prostate cancer and how to get properly tested and treated for this disease. If you’re interested in asking for our help with your community, we invite you to get in touch to discuss partnership and collaborative opportunities.